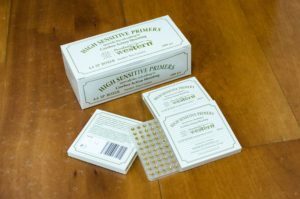 PRESSBURG WESTERN AMMO IS SASS LEGAL! We are pleased to announce that our shotgun ammunition was officially approved by SASS RO Committee as SASS legal and therefore can be used in all Cowboy Action Shooting SASS sanctioned matches without any limitation. Here in the calendar you can see the events we will not be missing there. 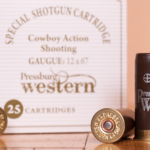 The reason of the Pressburg Western Company LTD beginning is simple – a lack of the suitable shotgun cartridge for the Cowboy Acton Shooting (CAS). 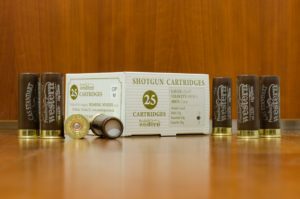 The main aim of our Company – which was based in 2012 – was very straight: to develop, to produce and to bring on the market the top shotgun cartridge in accordance the CAS rules. We came out of our top shooters practical experience and we have respected their mutual requirements; we have been also watching the most rated web sites of US and European western shooters. So, this effort has brought the CAS cartridge “Standart 12/67/08 filled with 24 grams of 2mm lead shots which have a muzzle velocity 980 ft/s. Definitelly, this cartridge was successfully certificated by Slovak National Authority in 2016. The Company ZVS IMPEX LTD in Dubnica nad Váhom (Slovakia) produces this cartridge according the Utility Model which is covered by Slovak Republic for Pressburg Western Company exclusivelly. The owner of Pressburg Western Company is holder of the all property rights related to this CAS 12/67/08 cartidge Utility Model here in Slovakia, Czech Republic, Germany and in many other countries. Nowadays, mostly of Slovak and Czech shooters and many others European top shooters use this product. We also deliver this cartridge our busines partners in Germany and Norway. Last year we have developed weakened cartridge CAS “Baby” (loaded of 22 gram of 2mm lead shots) and enforced cartridge CAS “Gaucho” (26 gram load) from CAS, so we completed the CAS 12/67/08 family. Except our top shotgun CAS cartridges production, in 2015 our Company has been started after very long bargain to import the small pistol primers KVB-9S from Murom Armory (Russian Federation). These primers named HIGH SENSITIVE PRIMERS ™ are fully equal of the best world primers according the reliability and the sensitivity, even though they are the world top according the manufacture preciseness (uniformity). In the end of 2017 we has extended our offer in this area about large pistol primers which have very similar qualities. Last days we opened the negotiation about the busines offer extension on special primers delivery with producer in Murom, Russian Federation. The „high quality large rifle weakened power primers“ would appear as the first. 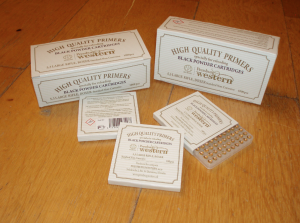 This primers are especially developed for rifle black-powder-cartridges reloadind. We intend to develope „the family“ of the new kinds of this rifle primers. 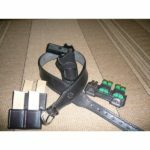 The main goal is to bring to the shooters the primers with excellent technical standards for high-accurate long-distance shooting.